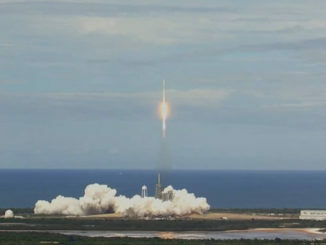 A Chinese satellite designed to track greenhouse gases in Earth’s atmosphere rode into orbit Wednesday aboard a Long March 2D rocket, joining an international fleet of orbiting carbon dioxide monitors aimed at combating climate change. The TanSat mission took off at 1922 GMT (2:22 p.m. EST) Wednesday from the Jiuquan launch base in northwest China and arrived in a near-circular polar orbit about 435 miles (700 kilometers) above Earth a few minutes later. 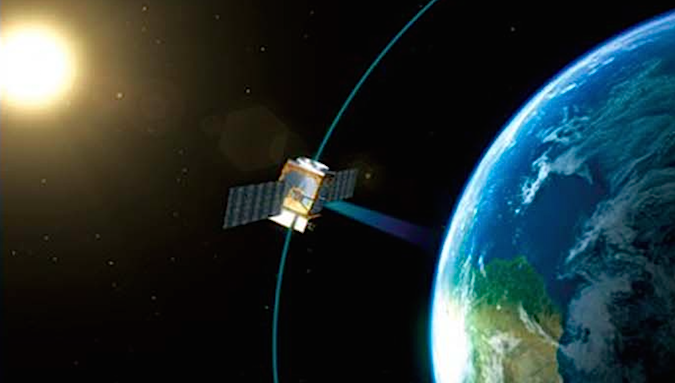 Using a near-infrared spectrometer, the TanSat satellite will track regional and global concentrations of carbon dioxide down to four parts per million, generating monthly maps of where the densest greenhouse gas levels are distributed worldwide. 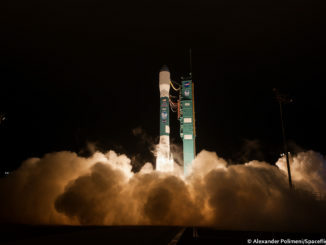 TanSat joins dedicated greenhouse gas spacecraft already in orbit operated by Japan and NASA. The launch of TanSat will “enhance China’s voice in international climate change,” the Chinese Academy of Sciences said in a statement. The Chinese Academy of Sciences is leading the TanSat mission under the responsibility of China’s Ministry of Science and Technology. The China Meteorological Administration is in charge of data reception and processing on the ground. 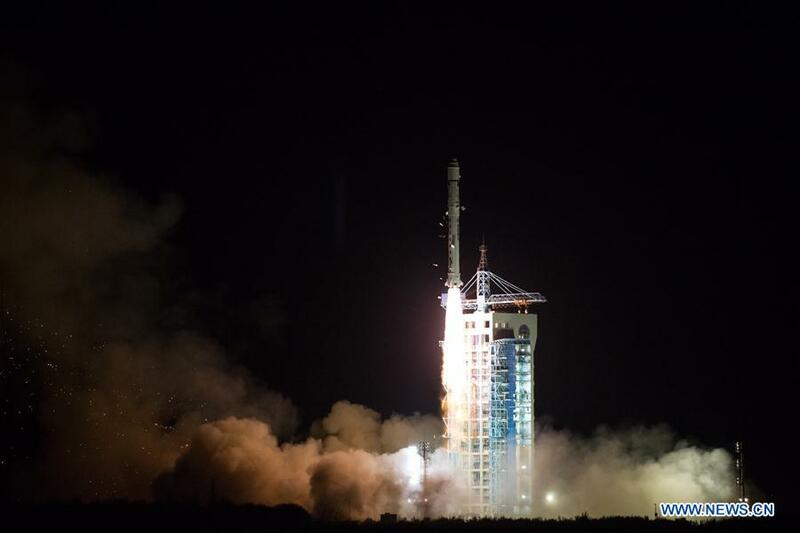 The Shanghai Engineering Center for Microsatellites built the 1,366-pound (620-satellite) TanSat spacecraft, which launched on the Long March 2D rocket with three secondary payloads designed for high-resolution and hyperspectral remote sensing of Earth. TanSat also hosts a cloud and aerosol polarization imager to support accurate carbon dioxide calculations. The Chinese Academy of Sciences said TanSat’s launch thrusts China to the forefront of greenhouse gas measurements from space. China originally planned to insert TanSat in the A-train orbit, where NASA and international Earth observation satellites fly along the same orbital track to coordinate measurements of the water cycle, atmospheric chemistry, clouds and greenhouse gases. NASA’s Orbiting Carbon Observatory-2, which measures atmospheric carbon dioxide like TanSat, is already flying in the A-train constellation. 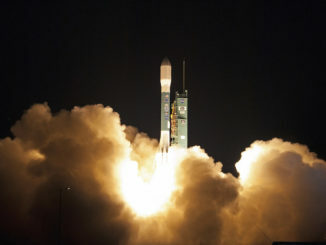 Chinese officials decided to place TanSat in a similar, slightly offset orbit, dropping the A-train option due to the complicated requirements and operational procedures for all A-train participants, according to information provided by Yi Liu of the Institute of Atmospheric Physics and the Chinese Academy of Sciences to eoPortal, a website sponsored by the European Space Agency containing information on global Earth observation missions. The TanSat spacecraft can turn to point its instruments straight down at Earth, pivot to aim toward the sun’s glint off ocean and land surfaces, and conduct targeted observations of carbon-emitting cities and heavy industrial regions. The satellite will cover every part of the planet at least once every 16 days during its three-year mission. Scientists will compare carbon dioxide measurements from a network of six ground validation sites in China with the satellite data. Development of TanSat began in 2011, and the Chinese government last year touted the mission as a contributor to its efforts supporting the Paris Agreement on climate change. More than 100 nations have ratified the accord, which went into force in November, committing to reduce their carbon emissions with an eye toward limiting the rise in global temperatures. TanSat can distinguish between changes in atmospheric carbon dioxide as small 1 percent, scientists said. TanSat’s science team includes international members, such as researchers from the University of Leicester and the University of Edinburgh in the UK. NASA managers have also met with Chinese scientists to discuss the mission.